Susanne Hand is a licensed clinical social worker with a psychotherapy practice in Princeton, NJ, working with adults, adolescents and couples. She is a graduate of Barnard College and has an M.S. from Columbia University. She received an M.S.S. in clinical social work from Bryn Mawr College and post-graduate training in family therapy at the Ackerman Institute for the Family in New York City. 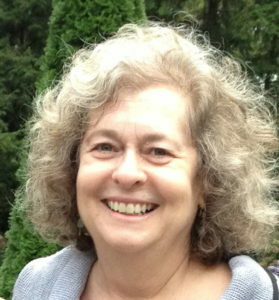 Susanne previously worked as a therapist at Trinity Counseling Service in Princeton, NJ, and in inpatient and outpatient programs at Princeton House, the behavioral health division of the University Medical Center at Princeton, where she specialized in women’s trauma and related issues. Before becoming a psychotherapist, Susanne worked in historic preservation and affordable housing development in New Jersey and New York.